iPhone 5s and iPhone 5c: What’s new for photographers? Apple has announced the two latest versions of its flagship iPhone 5 – the iPhone 5s and the iPhone 5c, as well as its new operating system iOS 7. 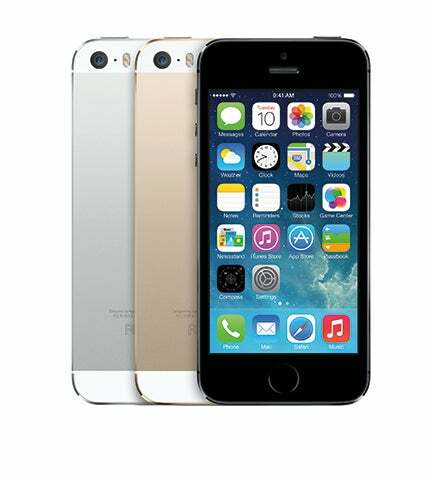 The iPhone 5s features a new 64-bit A7 processor, introduces such new features as Touch ID, a fingerprint recognition technology for locking and unlocking the phone. Much focus at the announcement was placed on the new, upgraded iSight camera for the iPhone 5s, for which Apple has elected to focus on adding new features as well as improving image quality. At 8MP the new iSight camera features no advancement on resolution from its predecessor in the iPhone 5. However the sensor itself is 15% larger, resulting in a 33% increase in light transmission. The pixels are also larger, at 1.5 microns. There’s a slight increase in maximum aperture – f/2.2, from f/2.4 on the iPhone 5, using Apple’s newly designed 5-element lens. One interesting development for the iPhone 5s is the introduction of True Tone flash. A first for a smartphone, True Tone Flash is made up of two LEDs, one white and one amber, that fire at specific intensities according to the iSight Camera’s assessment of a scene’s colour temperature. The new image signal processor in the A7 chip opens up a range of shooting possibilities in the iPhone 5s. Improved panorama mode compensates for changes in highlights and shadows while panning, and shoots at 30 frames per second. The iPhone 5s also introduces auto image stabilisation, which takes for short exposures in quick succession and combines them in order to create a balanced, blur-free image. It also captures video in 1080p full HD. The iPhone 5c is the smaller, more ‘affordable’ option, introduced as Apple’s ‘most colourful iPhone yet’. It uses the A6 chip and comes with the 8-megapixel iSight camera found on the iPhone 5. This doesn’t make it bereft of camera upgrades however – the iPhone 5c introduces a new front-facing FaceTime HD camera, for improved selfie-taking. Also announced by Apple was iOS 7, which includes a redesigned user interface as well as several new features of interest to photographers. Image: iOS 7 running on the new iPhone 5s. iOS 7 has been engineered to work with the 64-bit capabilities of the iPhone 5s, and takes advantage of the enlarged sensor in the new iSight camera to provide new features such as image stabilisation, burst shooting and slow-motion video with 120fps. The new Camera App in iOS 7 allows the iPhone 5s to deliver two-times faster autofocus and higher dynamic range. It also allows for adding of filters and effects in real time, and lets the user switch quickly between photo, video, square format and panorama. The iPhone 5s and 5c will be available from the Apple Online Store from September 20, with pre-orders for the 5c opening on September 13. iOS 7 will be available as a free software upgrade from September 18.